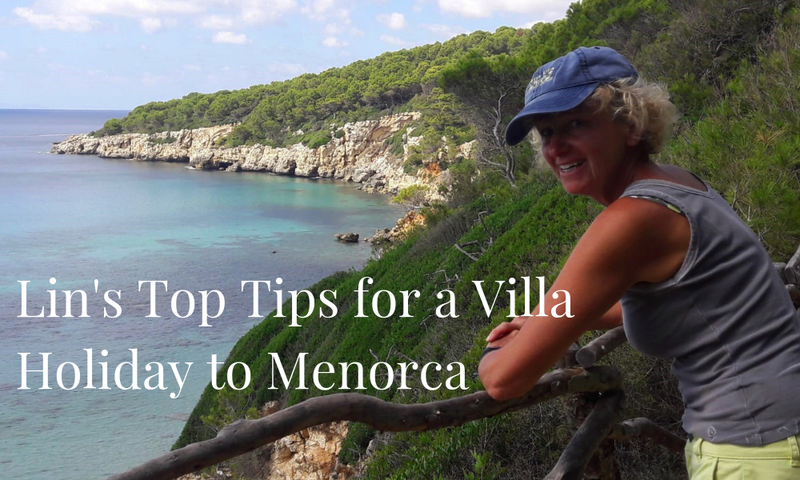 I chatted with Lin after her recent holiday to Menorca and asked her a few questions that will hopefully help our future clients looking to book a villa holiday in Menorca. Q. What surprised you most about Menorca? A. The diversity of the island. There are so many different things you can do from hiking to water sports, and everything is in such close proximity. Nowhere is far on the island. The roads in Menorca are also great, it’s so easy to drive on the island and everything is signposted well. There are also so many beaches around the island that you could only get to by walking. I highly recommend our clients spend a day on a walk and discover the many small and beautiful calas around the island. Q. What's the best advice you could give our clients visiting the island? A. If you’re looking for an adventurous and outdoor based holiday, then I would highly recommend planning ahead. This could be from where to go, to where to rent bikes from (if renting). It’s also important to remember what would be achievable for your length of stay. Although as I say this, it’s also nice to have a bit of spontaneity as we did have some days with no plan and they were just as enjoyable! I would also say, summer isn’t the only time to visit Menorca. We went towards the end of September and the weather was still great, the days were just right in temperature - it didn’t get too hot and the evenings were still warm. It’s an ideal time to visit the island especially if you have little ones. Q. If you had to choose one place, where's the best place you visited? A. Hard question but I think the north-coastal walks were the best. It was so natural and quiet, and it felt like the true outdoors. You could have gone hours without seeing anyone, which was quite nice as you don’t get that much nowadays. The pathways are also very well marked so you’ve got very little chance of getting lost. Q. How did you find a villa holiday, and would you do it again? A. Absolutely loved it. To anyone who hasn’t done it before, I couldn’t recommend it more. The beauty of a villa holiday is being able to live on your own schedule, not feeling pressurised to have meals at certain hours, and you can come and go when you like. It allows you to be so much more flexible. It also feels like home from home, our villas are well-equipped, and you have everything you would need. Villa holidays just give you the freedom that you can’t get from staying in a hotel and it’s great. Q. What would you tell clients looking to visit the island with young children? A. I've had kids myself and I know what to look for when booking a holiday that's right for the whole family, especially the little ones. As I said earlier, nothing is too far in Menorca, which is great as a long car journey is not ideal with children. The airport in Menorca is also great, it's so quiet and so convenient to go through. There are rarely any queues which is great especially when you come off a flight. Have Lin's top tips tempted to you visit the beautiful island of Menorca next year? Well get in touch here and we'll be more than happy to help you plan your next villa holiday!